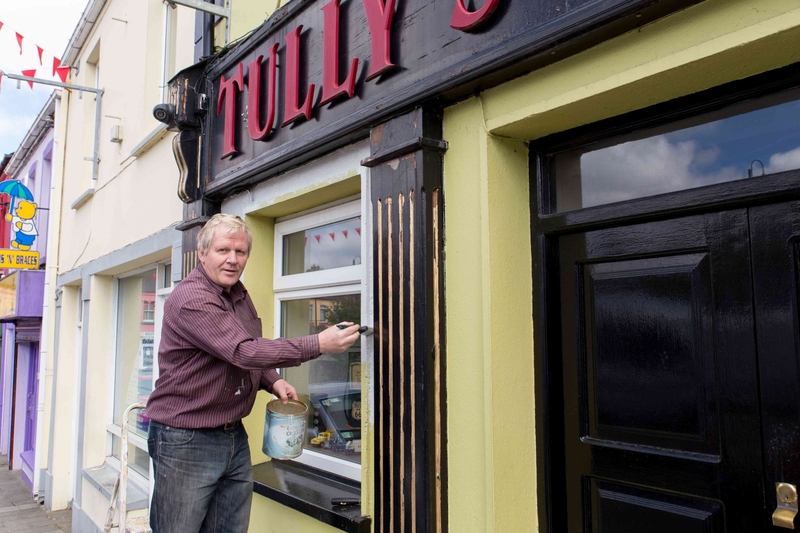 With just over one week to go before thousands of golfing fans descend on Ballyliffin for the first ever Dubai Duty Free Irish Open to be hosted in Ballyliffin Golf Club, communities right across the Inishowen Peninsula have been working round the clock to get their own towns and villages looking their very best for this special occasion. Newly elected Cathaoirleach of Inishowen Municipal District, Cllr Martin Farren has seen first-hand the tremendous work that is being done by people all across the peninsula saying “this is a very exciting time for everyone in Inishowen and this is a once in a lifetime opportunity for millions of people across the globe to see our beautiful corner of the world”. completed, the landscaping at strategic points in the peninsula looks stunning and our litter management team has been working tirelessly with local groups”. Over 80 applications have been received for Dubai Duty Free Irish Open Best Dressed Shopfront competition where the lucky winners will win €1,500 and have the opportunity to be treated to full corporate hospitality in the Dubai Duty Free’s own private pavilion on the 18th green at Ballyliffin Golf Club on Thursday 5th July. The response to this competition has been phenomenal so much so that the organisers have extended the entry deadline to Wednesday 27 June at 12 noon. So anyone looking to enter this competition still has an opportunity to do so. Those driving through Inishowen over the last week will not have missed the gigantic golf balls located at specific locations around the peninsula including the mini green at the entrance to Buncrana as well as the Dubai Duty Free lamp post banners. 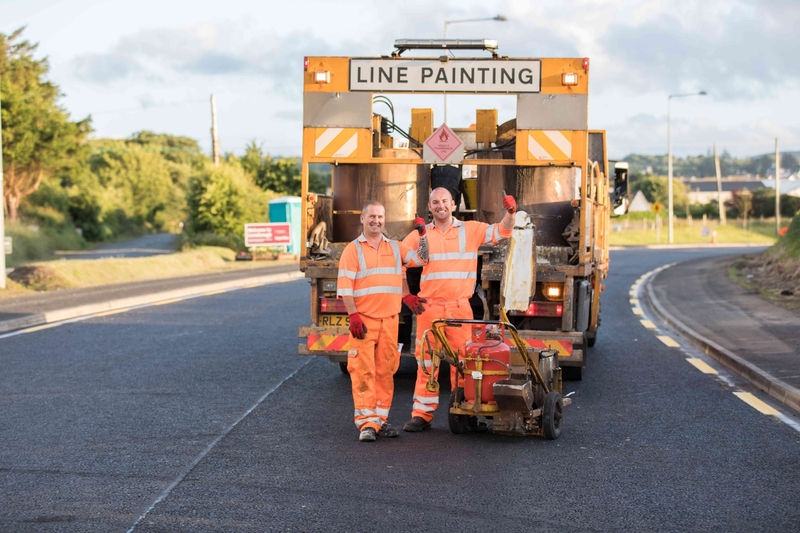 He adds “the Area Roads teams have been flat out for the last few months getting our road works programme complete in time for the Dubai Duty Free Irish Open. We are all local people so this is very special for us and we want to make sure that those visiting Inishowen will take with them wonderful, positive memories of their time here. We have had an extremely busy year here in Inishowen but it will all be worth it. We completed works at some of the most scenic spots including at Fort Dunree and at Mamore Gap and I have to say the setting at Mamore Gap is just breathtaking and is certainly a road worth taking”. With up to 100,000 visitors expected in Ballyliffin for the Dubai Duty Free Irish Open, An Garda Síochána is advising local residents to consider any impending travel plans they may have scheduled from the 4 – 8 July. They are asking motorists to expect delays and leave plenty of time for journeys during what is expected to be a very busy time on the roads. Residents are being advised to listen to local media broadcasts and news bulletins for the latest and up to date traffic flow information. Travel plans and alerts will be provided @AnGardaSiochana on Facebook and @GardaTraffic on Twitter and AA Road watch. 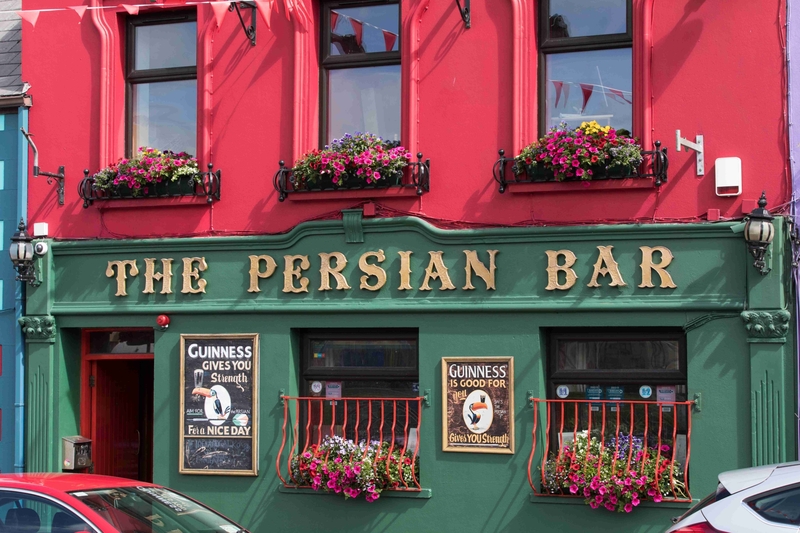 Lough Foyle ferry operators are putting on an additional vessel over the course of the Dubai Duty Free Irish Open and this will see extra sailings from Magilligan to Greencastle over the course of the event. For more information and to buy tickets for the Dubai Duty Free Irish Open, click here.